Marisa M. Perini is an associate who works out of the Newtown, PA office of Kardos, Rickles & Hand. Since joining the firm, Ms. Perini has earned the trust and respect of her clients and colleagues by proving herself an effective and thorough attorney. 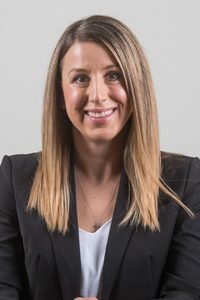 Marisa Perini represents clients seeking compensation for personal injuries, defends individuals facing criminal charges and works with families and couples dealing with issues such as divorce, child support and child custody. She is committed to achieving desired results for her clients, whether in settlement or mediation, and is prepared to go to trial when necessary. Qualified, respected, responsive. Whether your case involves a personal injury claim, a family legal issue or allegations of a criminal offense, Marisa Perini and her fellow lawyers at Kardos, Rickles & Hand are equipped to get the results you desire. With offices in Newtown, Pennsylvania, the firm is easily accessible to clients throughout Bucks County, Montgomery County and Mercer County. For more information, or to speak with Marisa M. Perini directly, contact the firm today at 215.970.2755.